I introduced a tiny patch, a few small plants, of Canadian Wild Ginger to the Garden Drama test garden about 10 years ago, under an Annabelle Hydrangea. I had picked up a tiny pot of it at a plant club sale for 50 cents or so. Well, I am tickled to report that it has seeded itself throughout my yard and not only is it a handsome groundcover, it serves as a living mulch, helping to retain moisture and deter weeds. 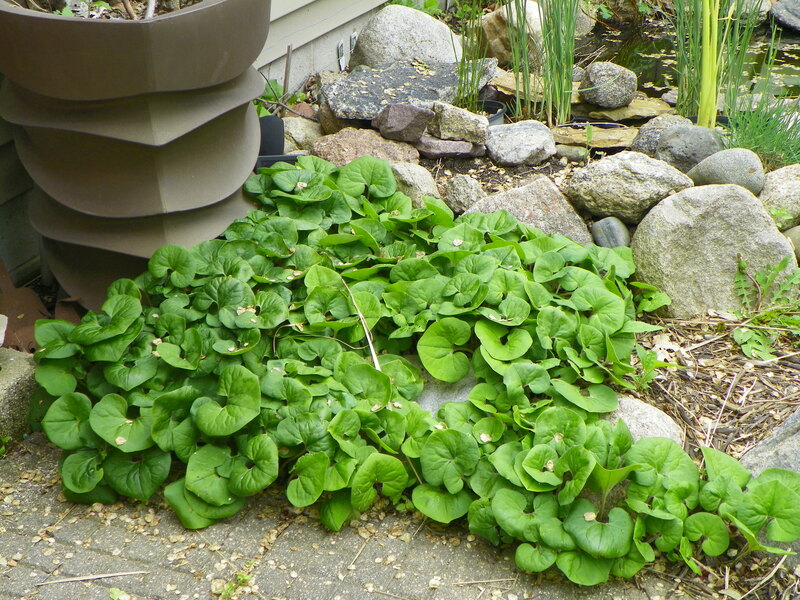 Canadian Wild Ginger is a wonderful groundcover for dry shade. It really softens the edges of hardscaping nicely. It’s heart-shaped, palm-sized leaves are a rich green and it does produce a lovely, rather exotic little flower in May that you have to lift up its leaves to see. The mat of foliage is from four to six inches high and will spread as far as the eye can see if you let it. It burns out in the summer sun, so keep it in at least partial shade. 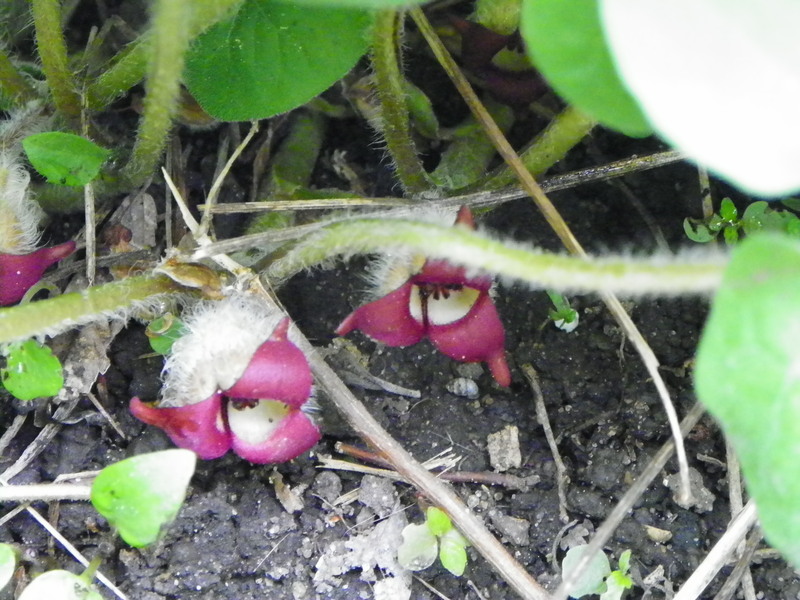 The maroon flowers of the Canadian Wild Ginger are lovely, but hidden. You need to lift their leaves to see them. One of the great uses of this groundcover is growing it in dry, shady places. It can add a lot of life and vibrancy to a dry, dull spot in the garden. You will need to supplement watering the first year you plant or transplant, but after that it will take care of itself. Start looking for the volunteers to show up in the garden, often under creeping plants or on the floor of densely planted, taller plants, such as a stand of coneflowers. An extra added treat: when you move it, the roots give off their strong, ginger aroma, that gets on your hands and lifts your spirits. Previous Post My vote for clematis of the year: ‘Guernsey Cream’! I’ve been looking for a shade tolerant ground cover for under my row of lilac trees with bonus points if it was edible. Looks like this might be a really good candidate. Desperately researching ground cover for a difficult spot, I came across your blog. Just had to say thank you for writing so wonderfully about actually growing this little plant.